Is DJI Select membership worth it? Update: You can get DJI Care Refresh insurance for free for a limited time. Learn more here. If you are purchasing a new drone from DJI, you might be wondering if DJI Select is worth it. In this article we review what the program is and when you should get it. The program has a lot of exceptions that limit the usefulness for many people. DJI Select is a membership program that you can purchase for $29 per year. 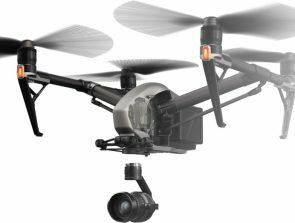 The program comes with numerous benefits when purchasing DJI products. What do you get with DJI Select? You will get prioritized shipping with DJI Select. In practice, this likely means that they will send your package to Fedex faster. Most DJI drones are already shipped by Fedex Air directly from China, but it usually takes two days for the package to be delivered to them. With DJI Select, they will speed up this part of the process. You should get DJI Select if you want faster shipping on DJI.com because they don’t offer any other shipping speed upgrades at the moment. DJI does not say how much faster you can expect your delivery with DJI Select. As a part of DJI Select, you get first dibs on new DJI drones. Getting DJI Select is a no-brainer if you are ordering a recently released drone. This is because it can sometimes take up to two months to receive a brand new drone if there is a backlog of orders. With DJI Select you will be placed at the front of the queue. Non-members reported waiting up to eight weeks to receive their drones when the DJI Mavic Pro Platinum was first released. You should definitely get DJI Select if you are planning on getting DJI Care Refresh. DJI Care Refresh is the best insurance that you can get for your DJI drone. For an extra 5 – 10% of the purchase price, DJI will insure your drone against most types of accidental damage including water damage. You will get 50% off DJI Care Refresh with DJI Select. This means that DJI Select will immediately pay for itself with most DJI products that are purchased with DJI Care Refresh. You can get the extra benefits of the program for free if this was your plan. One of the best features of DJI Select is that you get 5 coupons for 20% off accessories. There are some restrictions which are discussed below. This is great if you were planning on getting additional batteries, propellers, or a carrying case as an example. DJI says that they will send you exclusive offers by email if you join. They also say that they will send you a custom coupon code for your birthday. Who is eligible for DJI Select? You could not use DJI Select on the Mavic Air when it first came out. Almost two months after its release the company has allowed you to get DJI Select benefits on the drone. Make sure to check eligibility before purchasing DJI Select on new DJI drones. You cannot purchase DJI Select or use its benefits on the following professional grade items: Inspire series, Osmo Pro/RAW, Zenmuse series, Ronin series, and Industrial series. DJI Select will not work for professional grade items even if you purchase it with a consumer grade item. You must live in the following countries/areas to be able to use DJI Select: United States, China, Europe, and the United Kingdom. Important: You must have purchased a DJI consumer product (probably doesn’t include Tello, though we’re not sure) before to be able to use the DJI Care Refresh coupon immediately. In other words, you cannot buy your first drone, then purchase DJI Select, and try to get 50% off your DJI Care Refresh right then and there. It will only work on the second drone you buy if you buy DJI Care Refresh at the same time. This can be confusing, but DJI has designed the program for loyal customers. What accessories are excluded from DJI Select? DJI Select coupons cannot be used on DJI Goggles and the CrystalSky Display. They should work on all other accessories. Can I use DJI Select coupons on a past order? No, you cannot use DJI Select benefits on a past order even if they are a couple of minutes apart. You can try cancelling your order and purchasing again. We do not know if this will work. You should purchase DJI Select first and then order your drone second to make sure that you get the benefits. Remember that you must have purchased another DJI consumer product in the past to be able to apply the DJI Care Refresh coupon on your next order. Can you use multiple accessory coupons at once? DJI has made it so that you can only use one coupon per order. Unfortunately, this may lead to issues with some people. DJI will discount the most expensive item on the order, which is great. The problem is that there are minimums to get free shipping from the company. These minimums vary by country and you can find information on them here. You must order at least $89 worth of items to get free shipping in the United States. You must have five separate accessory orders to be able to use every coupon. This means that you will have to think about the best way to use your coupons to maximize free shipping. Shipping is very expensive outside of the US. The cost in the US is roughly a $10 flat fee but in Europe and elsewhere it’s usually based on weight and it ends up being expensive. Can you share DJI Select coupons? Yes, feel free to share your coupons with family or friends. If you are not able to use all of your coupons this is a great way to help people out. When do DJI Select coupons expire? You have one year from when you sign up to use your benefits. The birthday coupon is valid for 14 days. Can you cancel DJI Select? The program is non-refundable. Once you purchase the program you cannot get your money back. Can you purchase multiple DJI Select memberships? Unfortunately, you can only have one membership per account even if you have multiple qualifying orders. This means that you can get one DJI Care Refresh coupon per year. Can you renew DJI Select? 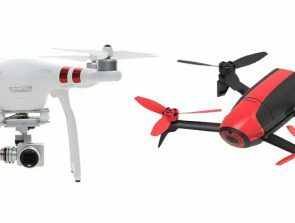 Yes, you can renew your membership without purchasing another drone. You can lock in your benefits. Can you transfer DJI Select to another person? DJI Select membership is non-transferrable. You can still share the coupons with other people. What is the birthday coupon? 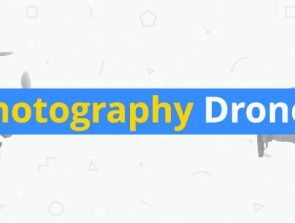 People have reported that they received a 12% off coupon for the following items: Phantom 4 Advanced, Phantom 3 Standard, Mavic Pro (Platnium edition too), Spark, and the Osmos. There were no coupons for the Mavic Air or the Osmo Mobile 2 yet. You can buy the combo/bundles with these coupons. Is DJI Select worth it? As you can see, DJI Select has a lot of exceptions and rules in place to limit its power. DJI Select is useful for those who have purchased a DJI drone in the past and plan on buying a new one in the future. This allows you to use the DJI Care Refresh coupon immediately. 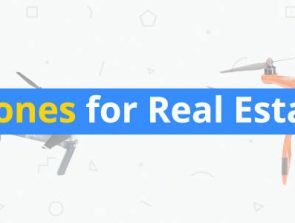 DJI Select is also useful if you want prioritized shipping on an order or you are buying a drone that was just released and you want it sooner than everyone else. For most other people, you are better off waiting to buy the program just before buying your next drone. In other words, if you buy your first drone from DJI.com, then you should wait to get DJI Select a day or so before you buy your next one. This is because the program lasts 12 months and you will have a longer window to use it.